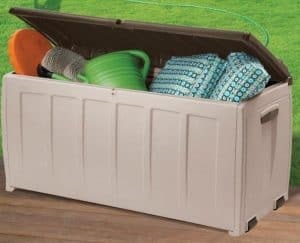 This is a very good storage box, and a lot of the value comes through the price. 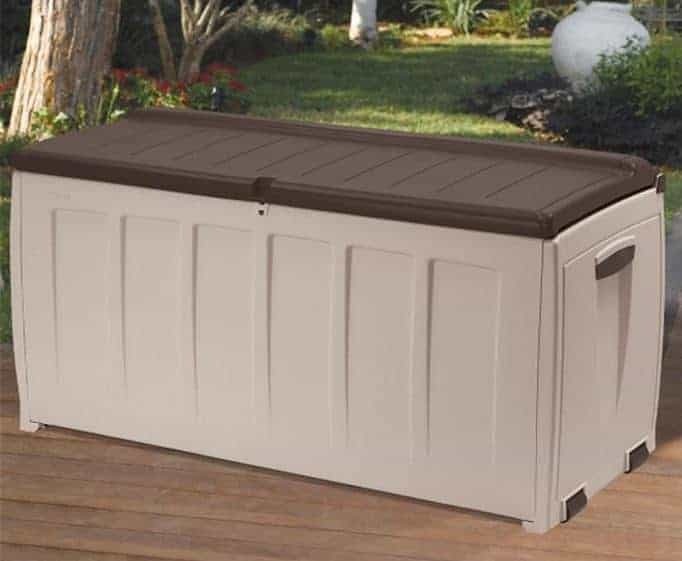 This is a high quality box with a robust construction, and its also a seat. For this price it is tremendous value. This storage box is a high quality box that offers plenty of storage, especially at this price. The unit is 125 cm wide and 55 cm in depth. 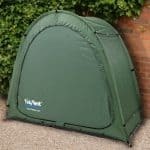 Internally, the width drops down just a little to 123.5 cm and the depth goes down to 53 cm. There isn’t a lot of difference there, and this hints at the space inside the unit. 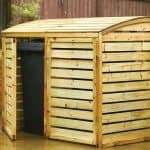 The storage box has a capacity of 340 litres, which is more than enough for a usual amount of garden storage. The height is 61 cm, which again shows how much space you get with this particular unit. This is a good box, and we were pleased to see that it is not just a box that has considerable capacity, but also a box that has plenty of good news as regards the materials used in the construction. 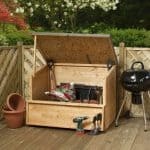 The box also comes complete with handy wheels that allow you to position it anywhere in the garden, and also have plenty of choice as regards location. This box is of extremely high quality for the price. The box has been made using UV resistant poly resin. With this you gain a box that can easily prevent UV rays from causing problems for the exterior. This means that UV rays cannot cause issues with fading, cracking or worse. And of course this extends into the box itself, and your belongings. 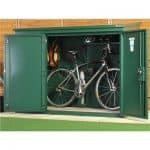 With so much protection on the exterior, you have that guarantee of safety inside the box. It isn’t going to rust, suffer any dents or peel away. This exterior is a tough one, and it is a credit to the manufacturer. The makeup of the box ensures that your belongings are safe due to the fact that there is plenty of ventilation inside. This brings you even more protection for your possessions. The robust nature of the box also ensures that it is watertight. This box will never require any maintenance. The construction is robust and has that UV resistance. This means that you don’t have to treat it and can still look forward to a long life box. You can buy a padlock and fit it for the protection of the contents. It is a box that shuts fully, and therefore provides full privacy. We were actually quite pleased with the level of quality that is presented here. The price is incredible for the robust nature of the box, and there is plenty of space inside. It is a well made box, and we were impressed with the low price point. We are looking at UV resistant materials, and a generally tough box all round. 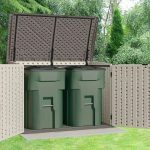 There is 340 litres of storage here, and this means you can easily store garden tools and other items that you have in the garden. It’s great for cushions and children’s toys, for example. And we can't fault that level of storage at this price. It may not be enough for your needs, so make sure you consider that first. This is a job that will literally take you just a few minutes. It is a very easy piece to put together. This presents absolute value. The quality of the product is very high for the price. Final Thoughts: At this price, you are looking at some amazing value. We liked the materials, and we also liked the fact that it can be used as a seat. In fact, we cannot fault this product at the price point. A real bargain.